Late last year, a new space tourism company emerged that proposed using a high-tech balloon ride to take passengers higher than they’ve ever been. The company quickly earned FAA approval for its audacious plan to take tourists on five hour near-space rides. And late last month, the company successfully completed its first round of tests, and in the process broke the record for the highest parafoil flight. The company launched the test flight some three weeks ago from Roswell, New Mexico using a balloon which was roughly one third the size of that planned for passengers flight. It carried a payload of about 204 kg (450 lb), which is one-tenth the weight of what the company expects will be a full passenger load. The flight was the first time all the components were tested together, reaching a record-breaking altitude of 36,500 m (120,000 ft). Though components of the experience have been tested in the past, this marks the first time all elements of the spaceflight system were tested together. It was a huge success and a major milestone for the company. The company hopes to be able to commence passenger rides by 2016, once they’ve completed all testing to make sure their equipment and methods are safe. Based on their FAA filings, the company has said that it will launch its rides from Spaceport American in the New Mexican desert. However, CEO Jane Poynter has recently said that no final decision has actually been made in this regard. 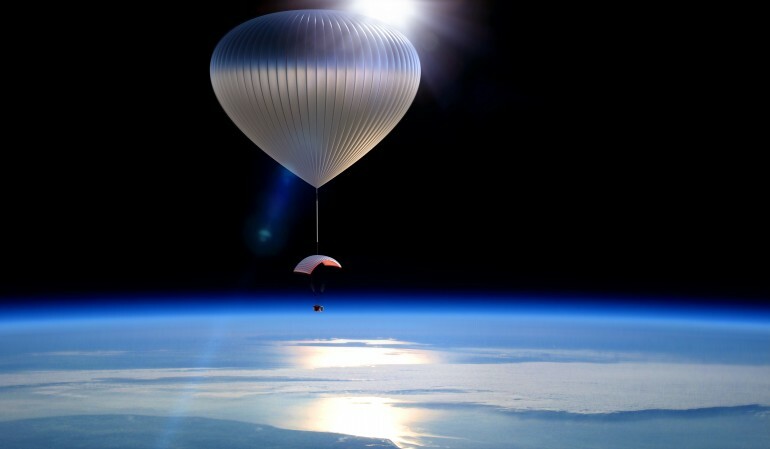 Although the balloon does not technically lift its passengers into outer space – which is defined as a distance of 100 km (62 miles) from the Earth’s surface – it will certainly make for an unforgettable experience. For the cost of $75,000, customers will be taken to an altitude of 32 km (20 miles). From there, they will be able to see the curvature of the Earth, and at a fraction of the price for Virgin Galactic’s $200,000 rocket-propelled trip. The ride will consist of a capsule large enough for passengers to walk around in will being lifted well above the troposphere, thanks to a giant balloon containing 400,000 cubic meters of helium. Their space balloon is not at all dissimilar to the one used by daredevil Felix Baumgartner when he broke the record for high-altitude skydiving roughly two years ago. 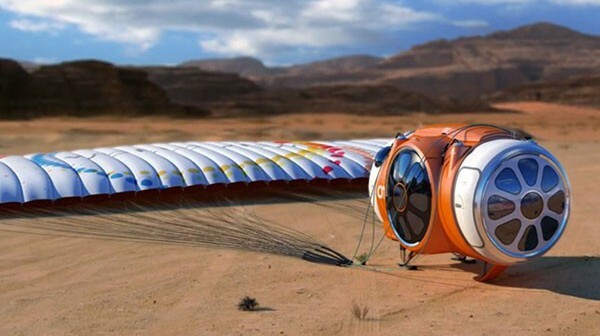 In order to return back to Earth, the balloon will cut away from the capsule, and then a parafoil will allow it to land safely as a paraglider, deploying skids on which to land. Alongside other space-tourism ventures, the latter half of this decade is likely to be an exciting time to be alive!